The most up to date record of Kilkenny and National GAA records is now available online in the Kilkenny GAA Bible. Containing 297 pages, it stretches from the first entry recording Tullaroan’s Senior Hurling Victory in 1887 to the attendance at last years All Ireland Senior Football Final In between, it contains the results in all grades of local and Inter-County Hurling, Football, Camogie, Handball and Ladies Football games. 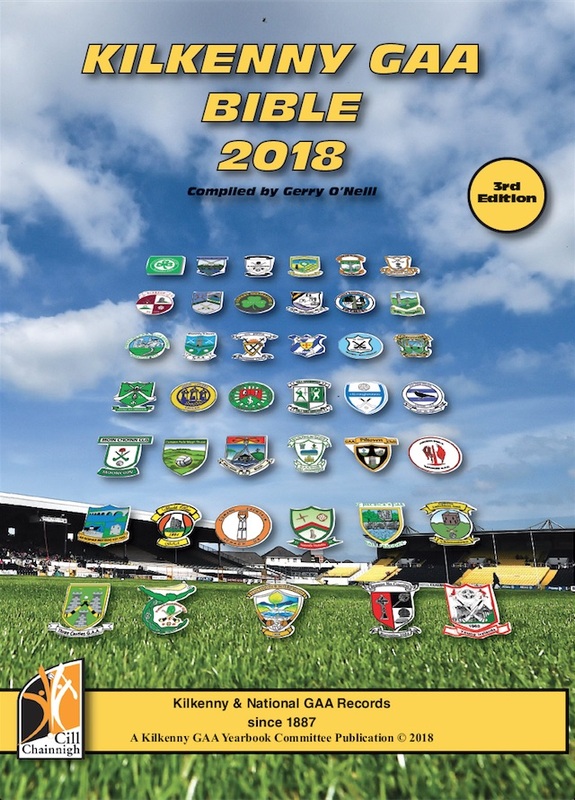 It also includes the players on the Inter County and Senior Club teams, the records of Féile, Masters, Colleges, Schools, Oireachtas and Interfirms competitions and details of Officers, Referees, All Stars and Clubs.